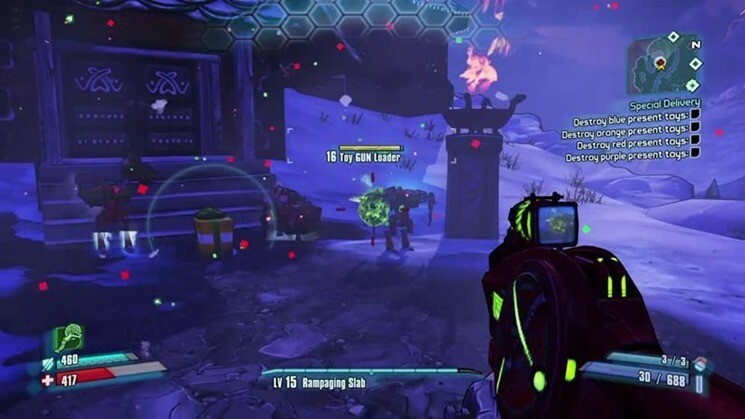 When it comes to shooting, looting and facing some of the biggest and baddest monsters outside of a traditional RPG, no game has managed to craft that formula better than Borderlands. While the original game was some good ol’ creative fun with some new ideas, it’s the sequels and DLC that gave Gearbox their biggest hit ever. A few years on, and the series is jumping onto a new platform. And Borderlands: The Handsome Collection is a fantastic example of how to add value to an older product. It’s a prime example of how not to handle porting such a game over. Just so much damned fun, filled with memorable characters, genuinely funny humour (not an easy thing to accomplish in a game), more pop-culture references than you can shake a stick at and lots, and lots of things to stab, shoot, or blow up. Also, lots and lots of things to collect. Now if you’ll excuse me, I’ve got to find me another awesome gun. So what kind of a game is the Pre-Sequel then? If you said ‘more Borderlands’, you wouldn’t be far off. 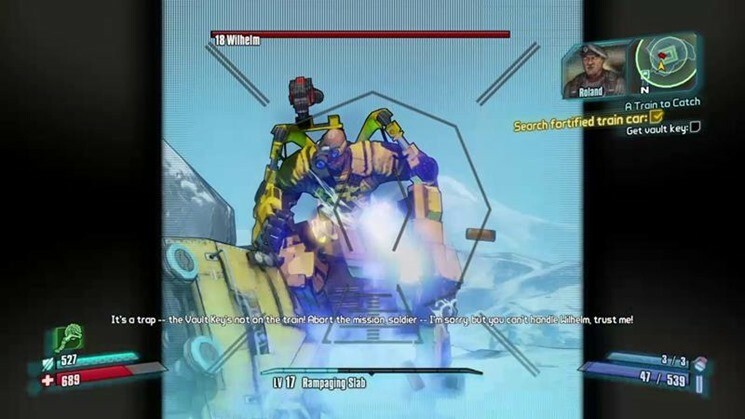 But it is a Borderlands game that feels revitalised thanks to the new gameplay mechanics, enemies, humour and weapons. It plays out like a massive expansion pack, one filled to the brim with more secrets, ideas and a familiar gear-grind for better loot. And more Borderlands is actually a fun idea after all. 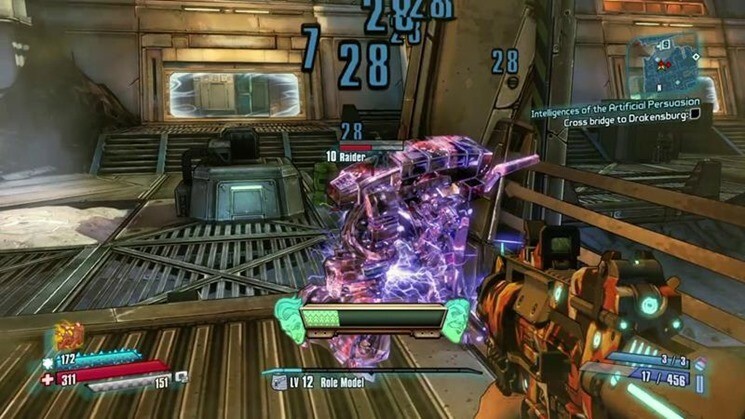 Three years on, and the core mechanics behind Borderlands 2 still makes for easily one of the best RPG shooters ever crafted. The game has aged beautifully, and the hidden depth within the various Vault Hunters make for some delicate and complex calculations as you figure out the best way to survive the harsh climate of Pandora with the wit and guns by your side. 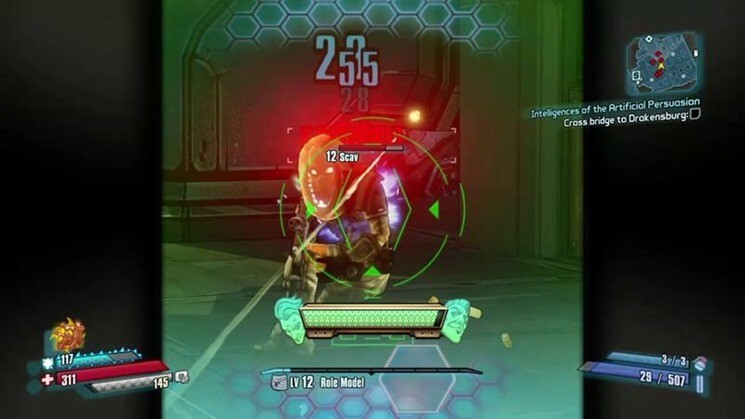 Even more developed in the Pre-Sequel, character choice plays a big part in the game, as rushing an enemy merely means a quick death and an even quicker admonishment from the AI system that resurrects you. Like any other remaster on the market, this version of Borderlands is going to push the graphics angle as a big hook to grab new and existing players. And in a way, I dig that. 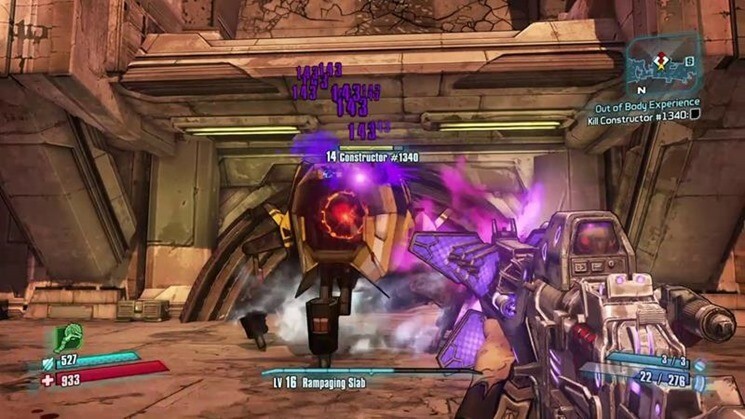 I like seeing Borderlands 2 or the Pre-Sequel running at a silky-smooth 60 frames per second. Except the smooth visuals clearly have some unrefined chunks within them. 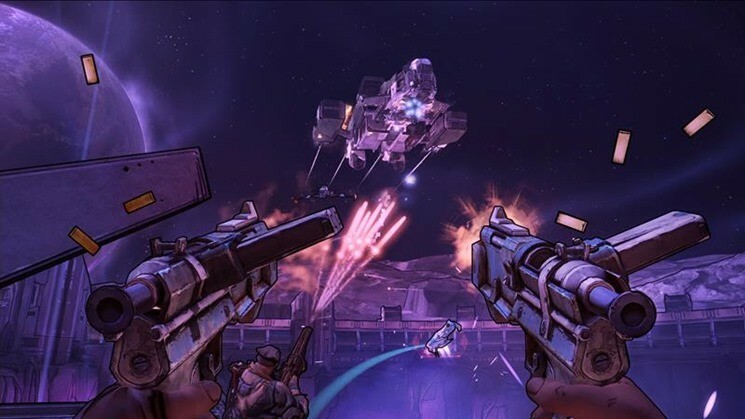 While Borderlands 2 can easily breeze along at a consistent 60fps, it is prone to crashing for random reasons, necessitating a restart and slogging your way through various bullet hells all over again. 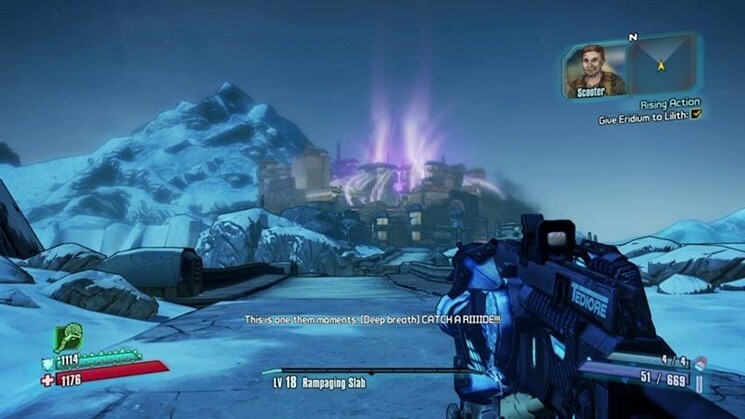 Neither of the Borderlands games take advantage of any of physics-based middleware, with the cel-shaded graphics hiding some slow rendering and pop-ups upon entering a new area. The upgraded visuals are in no way bad whatsoever, but you’d kind of expect a game with this price tag to be more than just decent. The Pre-Sequel on the other hand, feels like the red-headed stepchild of this collection. Firefights can quickly drop the frame-rate, textures frequently load in after you digistruct yourself into an arena and other visuals feel very last-gen at times, on a game which was actually quite beautiful when it launched last year. If you keep quiet, you can hear PC gamers scoffing to the max right now. The other big new addition, is local four-player split-screen. Couch multiplayer understandably drops the frame-rate to 30fps on either game as the madness is quadrupled. I haven’t got four friends or controllers to help me test the mode, but internet chatter suggests that once again, Borderlands 2 is easily the supreme beast here with the Pre-Sequel once again struggling. 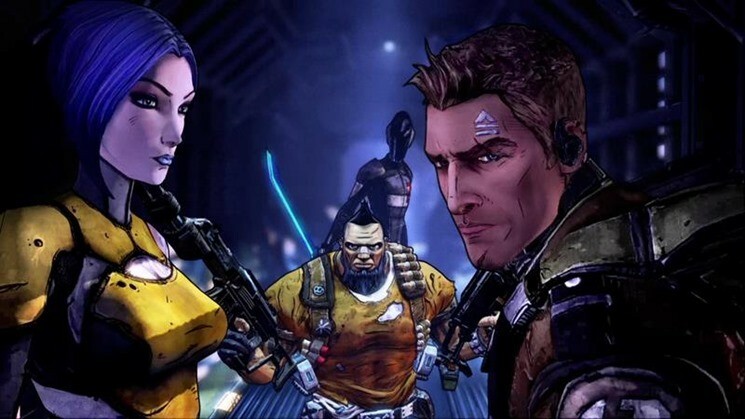 Technically, Borderlands: The Handsome Collection is less than stellar. 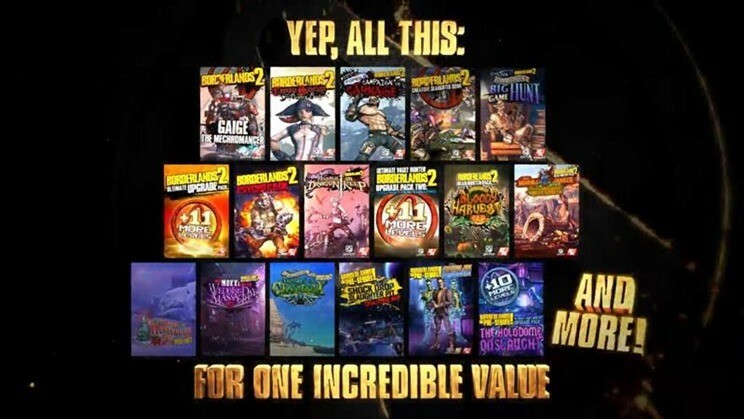 Half of the package feels like an absolute rush-job, with some cracks being present in the meatier Borderlands 2. 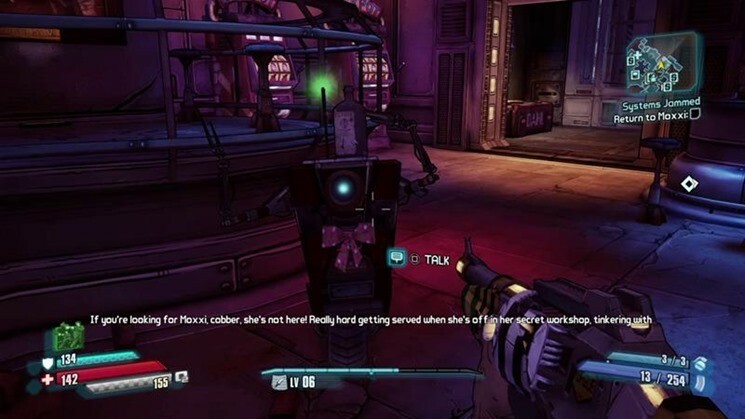 That being said, these are problems which can be ironed out with a patch, and Borderlands as a game is still as maddeningly addictive as ever before thanks to a patented loot ‘n shoot style of gameplay which works on multiple levels. And with an entire loot crate of content to go with it, now is the right time to experience Borderlands for the first time. It’s pure Borderlands, with more than enough content to keep you going for some time. It’s just a pity that the Handsome Collection didn’t receive the technical love that the franchise clearly deserved as it jumped onto newer platforms.